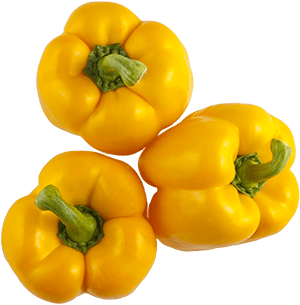 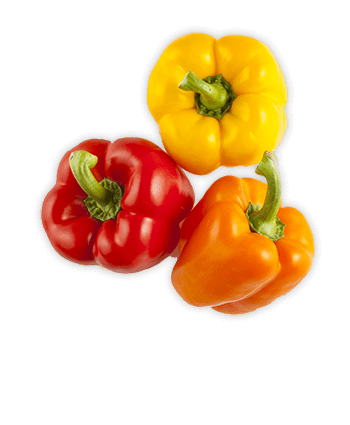 Our vine-ripened bell peppers, available in red, orange and yellow, are produced under the best growing conditions. 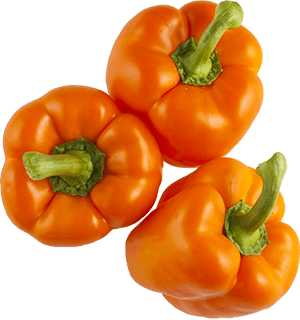 Vibrant in color with a consistent uniform shape and firmness, these peppers are picked and processed with the stem attached, allowing them to continue to absorb mositure and ripen for several days. 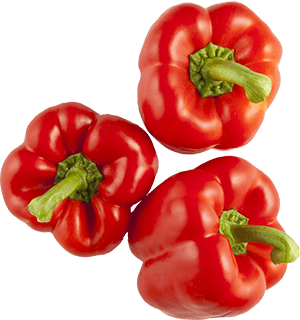 Our vine-ripened bell peppers, available in red, yellow and green, are produced under the best growing conditions.